Returning to the show after an appearance in The Black Adder was Miriam Margolyes as Edmund’s aunt, the Lady Whiteadder, along with Daniel Thorndike as her husband. 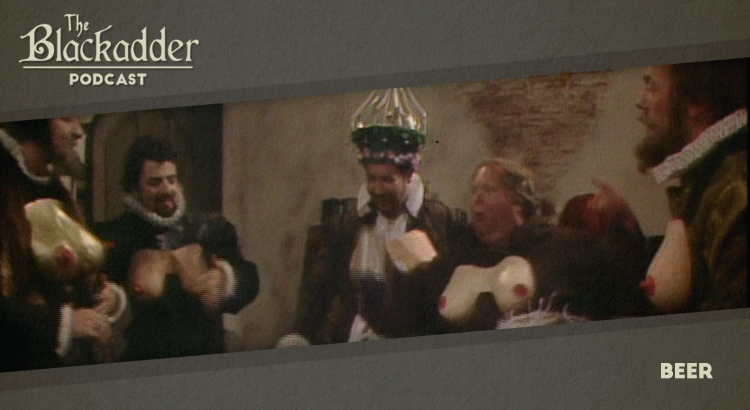 Hugh Lawrie made his first Blackadder appearance as Simon Partridge, recruited to pose as a drinking buddy of Edmund’s along with Roger Blake as Geoffrey Piddle and William Hootkins as an inebriated monk. Beer was released in 1986. It is 29 minutes long and originally aired on the BBC. Blackadder II can be viewed on Netflix in the UK and Ireland and a remastered set of the whole series is available on DVD around the world (Region 1) (Region 2).